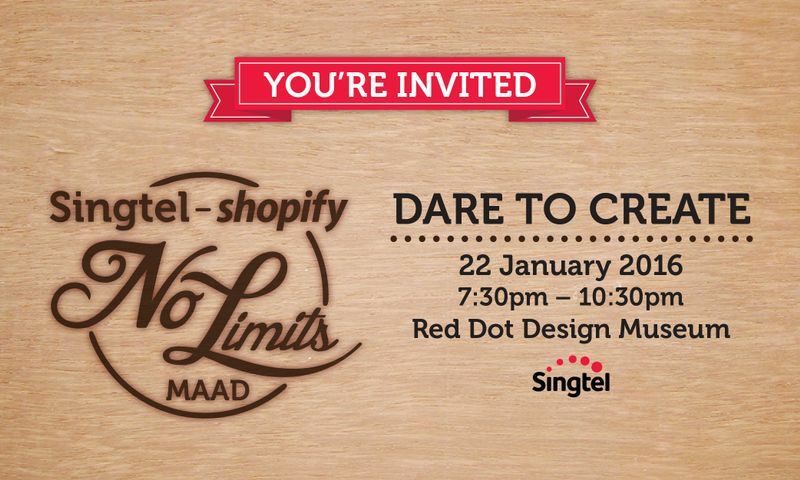 You're invited to attend Singtel-Shopify x Maad "No Limits" Bazaar on 22 January 2016, 7.30pm to 10.30pm, at Red Dot Design Museum Singapore. Admission is Free! Don't miss this opportunity to shop for creative artworks and unique products by Shopify and MAAD owners!